Lots of rumors bind the android until the official announce of upcoming 4.4 version. Finally key Lime-pie end as a rumour itself. All of us thought that after the Android 4.3 jelly Bean update google will release their next OS and it will be named as Key Lime-pie and version would be 5.0, But Sundar Pichai, Android and Chrome head announced the android’s next version as 4.4 and named it as KITKAT, famous chocolate brand owned by Nestle. Still rumors are not yet release their hold over the android. Lots of tech experts started their research over the reason behind the naming of android latest version. Some may blend their own thoughts. Sundar Pichai in his Google+ post shared that the activation of Android device has passed 1 billion. 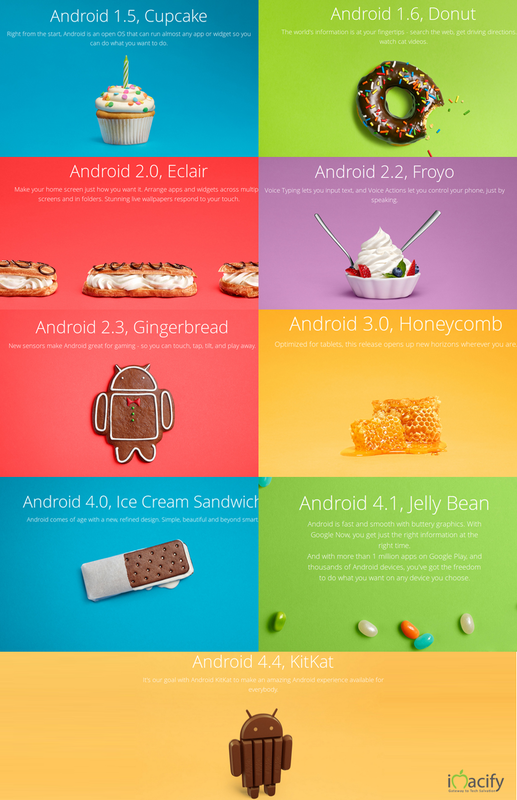 From the First, the Android release names are Alphabetical, ‘Cup Cake, Donut, Eclair, Froyo, Gingerbeard, Honeycomb, Ice Cream Sandwich, Jelly Bean’ and Its K time. “Kitkat was been a one of the favourite crunch for the Android OS Development team so they named the “K” version of their Android release” this was the commonly spreading news about the reason behind the name, it may be true. 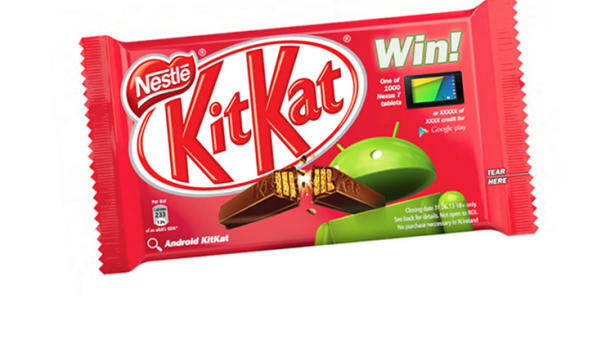 Android 4.4 was named as KitKat under a cross promotional deal with Nestle. As part of the deal Nestle is running a contest to win a Nexus 7 / Google Play credit through specially branded Kit Kat bars. Android 4.4 KitKat is expected to be in hands by the last of October or by beginning of November. Not sure about the date as there is no official announcement from Google. Release date rumors may also RIP as like the Key Lime-pie. Google may launch its new version of android along with it’s Nexus 5. This make the google’s upcoming phone to be superior among the rest of android crowd as others are waiting for update of Android Jellybean 4.3. From this we can guess that google plans to make its new version of android to run in the devices with minimum configuration device too. On February 2013 from AndroidCentral, its revealed that google work on experimental Linux kernel 3.8 to make the OS run with minimum amount of memory. Every one of us feels happy to have a more space to store a Apps than that of the system. This image that tells desert naming story on the android over its evaluation time by time. Android 4.4 KitKat dip us into another cup of expectations make to start to think and start rumors about the new features and about the next version of the Android. What’s your opinion about the next release of Android Kittat, what are the things you are expecting to be in the next release. Kindly drop us in the comment Section. Good post.. keep up d hard work..